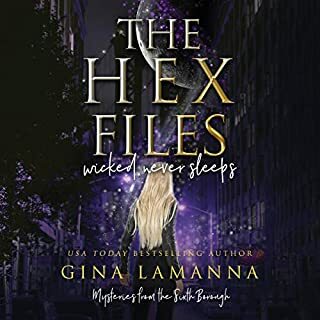 Amanda Stevens is a new author for me and I have to admit that the only reason I downloaded this book was because Khristine Hvam narrated it and I am so happy I did! 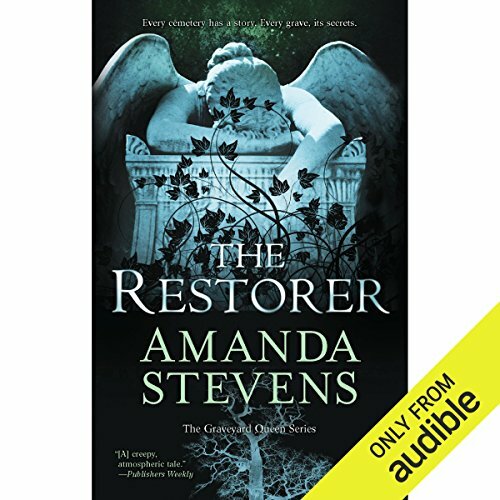 I am now a fan of Amanda Stevens and I am looking forward to downloading other books by her, (even those not narrated by Khristine Hvam)! She has a way with words that made me feel like I had a ghost touching my hair! Goose bumps galore! This is hands down, a 100% "make you FEEL and SEE" story, and an awesome author and narrator combo. I am now hooked! For me, there was a gothic romance feel to "The Graveyard Queen", Amelia, the main character. And the idea of someone who is so passionate about graveyard restoration.......just wow! I NEVER expected it to end the way it did and was surprised by the "who done it". I don't like to give anything of the story away, so all I can suggest is to read the book blurb, listen to the sample offered and just ENJOY. Downloading book 2 now! Stop everything and read this book. Talk about creepy, hair raising, bone-chilling, endearing, who-done-it awesomeness! Add in a tortured love interest haunted by a tragic past and a fiery, brave heroine that can see ghosts and you have a perfect book. Set in Charleston, South Carolina the location is as much a character in the book as the complicated people in the story. Amanda Stevens has a real gift painting an image with her words that will linger days after the read. Just be warned that some of the images are quite horrific. I am already half way through the next book but am too much of a weenie to read it alone after dark or I would have finished it already. I listened to this on audio and have to say that is one of the best narrations I have heard. The southern accents are done beautifully and add a real charm to the book. but I wanted an interesting relationship, either romance or friendship, which it did not have. This is told in first person. It reminded me of the TV show Murder She Wrote with Angela Lansbury - but a younger heroine. Amelia is 27. Her job is researching and restoring cemeteries. Bodies are found by the police in a cemetery she is restoring. So the detective asks her advice about things in the cemetery. She also gives him copies of the photographs she took. She is curious and asks questions of other people. There are mysteries about multiple bodies. Two were killed years ago, others were killed recently. So what is this book about? Someone who is not a police detective or private investigator who investigates and solves mysteries. In the process she may be in danger as she gets close to figuring things out. By the end one mystery is solved, but there are other mysteries about other characters which I assume will be solved in sequels. What makes this mystery unique is that Amelia can see ghosts. But she must never let the ghosts know she can see them. If they know they will latch onto her forever. They will be with her and touch her and take energy from her - forever. Another character in the story has ghosts that have latched onto him, and Amelia is worried about it. It was pretty good. It kept my interest. I think the author has an excellent writing style and a good voice. But I wanted some kind of interesting relationship, even if it were with a friend or coworker. Although there is some lust between Amelia and John, there is no relationship development. This is not a romance. The ending climax with the bad guy was not well done. Some of his actions did not make sense. I wanted more explanation of things, for example. Why put an external bolt on a door, then leave it open for a victim to escape? The narrator Khristine Hyam was excellent. I enjoyed her southern accent. Yes, it was a good, spooky paranormal story with great characters. Overall it's a creepy, gothic ghost story with mysterious deaths, haunted characters with tragic pasts, hopeless love, and scenes that make the hair on the back of your neck stand on end. What other book might you compare The Restorer to and why? I don't know of other similar books, although I'm sure they're out there. I like a good gothic ghost story, but I haven't actually read many. This one definitely delivers to the point that I've gotten the remaining two books. I grew to care for Amelia and Devlin who were both equally strong and vulnerable. I really want to see what happens with their relationship and how their obstacles will be resolved. There were many. Any of the ghost scenes involving contact with Amelia, running their hands through her hair ... oh so creepy. I didn't enjoy the murder mystery as much; it was standard in and of itself, but the paranormal aspects of the story were done really well. Absolutely; it only took me a couple of days to get through it. The writing was mature, the prose almost lyrical at times, and the tension and mystery well-developed. Amelia has become one of my favorite characters. I pictured Anna Torv in my mind as I listened; she has such a haunted vulnerable quality which added to my experience of Amelia. I think this series would make a great TV show. Oh, and Khristine Hvam has probably become my favorite narrator. She can do anything. Ms Steven has written two great mystery stories. Both books are fantastic & spooky, Ms. Steven write the kind of stories that will pull you in and not let you go! I purchase the two books without knowing her because of the prior contribution by other reader. I am glad I did take the chance. I am hoping she will write the next book(s) real soon. About the Narrator, Ms. Hyam, she provided final vocal ingredients to this books. She brought the characters into life. I feel she is in the category of James Master (Destren Files), and Johanna Parker (Sookie Stackhouse). A great job, Please keep them coming!! Very interesting book! the narrator's southern twang really brought that South Carolina (Charleston) feeling to the book. She also did a great job in differentiating the voices. Now this is what I was expecting when I read the "In Death" series by J.D. Robb. 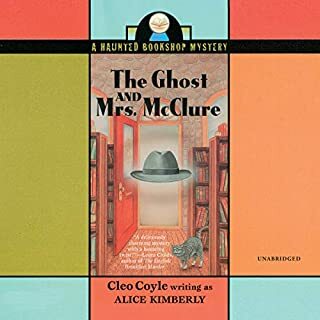 This book featured a cemetery restorer & archeologist, Amelia Gray, who had been seeing ghosts since she was 9yrs old. Her father, who also saw ghosts, gave her some guidelines to follow when dealing with these presence. His desire for her safety basically turned her into solitary women with no real attachments and friendships. When a fresh body was discovered at a cemetery she was restoring, Detective John Devlin sought her out for assistance. Amelia and John got drawn into a complex serial murder's game and they also developed an attraction. When it becomes clear that the serial killer is targeting Amelia, how will they flush this killer out when the killer is always a couple of steps ahead of them? I wasn't scared like I expected, but I was engrossed in the plot. It was well written, engrossing and the tension was just right. They were a few scenes that were really creepy, *ahem, the bedroom scene* but it's not like I won't be able to sleep tonight. I thought Amelia would utilize her dad more at the end, but she didn't go that route. Perhaps because her dad would have warned her off Devlin. I didn't suspect the serial killers motive, so it was hard to pinpoint who it was. I choose to see the ending, not as an ending, but a beginning to a new path for Amelia & Devlin. I look forward to see how they respond to this second chance. 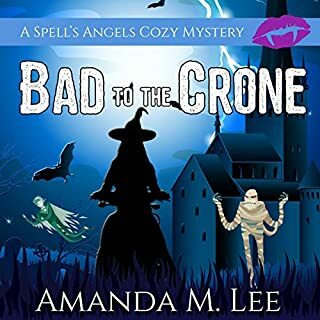 Loved the setting and the premise: protagonist Amelia Gray working as a cemetery restorer stumbling across a body and aiding mysterious Detective Devlin in the solving the crime. The writing felt a bit uneven at times. A number of threads were introduced (eg. the mystery of Amelia's fathers past) but not resolved as a clear inducement for the reader to check out the later volumes. The mystery was a bit choppy and some of the scenes and actions unclear. I also never really felt engaged to any of the characters. However, this was still a fun listen and worth the credit. Kristine Hvam's narration was fair, although a few of her Southern accents seemed over the top. Overall, a fun listen and I will probably purchase more books in this series. This was a disappointment. Amelia Gray has a passive power,.she sees ghost. Following the rules of her father she does not have any contact with them. The major ghosts in this story belong to Amelia’s love interest, John Devlin. He is being haunted by his wife and child. 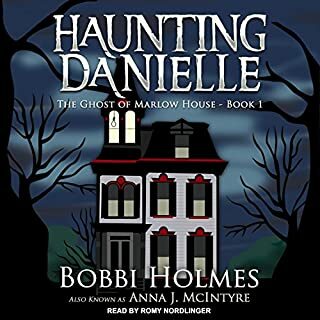 One of rules from Amelia father, do not get involved with those who are haunted by a ghost becomes a major plot point. Amelia is in turmoil with her feelings and her father’s rule. Her and Devlin have fights about their sexual attraction and Amelia’s refusal to stay uninvolved in the case. Clues are given in prose in connection to the inscriptions on the grave stones. Amelia’s contribution is deciphering the grave stone symbolism to make connection with specific graves. Bodies are found partly excavated, tunnels are discovered in crypts, and tortured chambers are found. With crypts and tunnels comes spiders, rats and other scary things in dark places. The mystery portion was interesting and I kept reading to find out who was doing all the killing. That was a surprise. Amelia is not a strong female character. Since she does more to avoid ghost the supernatural factor is low. It is for those two reasons I could not rate the book a 5 star and will not read the other books in the series. This was a fun book to listen to. I loved the deep southern accents and all the references to Charleston- a favorite place to visit. The story was great too. I love a good ghost story. The ghosts in this one were real and metaphorical. I liked the tension between Amelia and Devlin. I'm interested to see where that goes. Will absolutely continue this series and curse myself for not starting it before now. 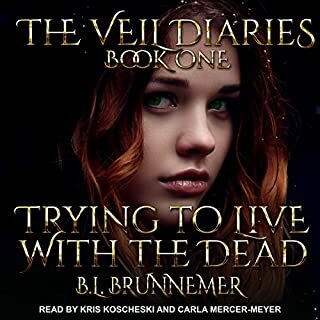 I had the opportunity to meet Khristine Hvam, who narrates this audio, recently and was surprised to learn about her career as a reader for my favorite form of entertainment- audiobooks!!!. She recommended a few books I might like and I chose this one. While this is not my favorite genre, I enjoyed every minute of Khristine's amazing narration. She is one of those readers like Scott Brick or Eduardo Ballerini, that can make any book come to life and shine. 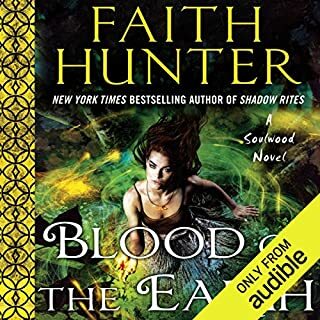 While the story itself was not that original or exciting, her interpretation of it made it entertaining for me and I enjoyed listening.If you enjoy this genre than I highly recommend this audio....even if its not your genre you will still enjoy Khristine!